I booked the flight from Air Asia quite late and nearby to my date of travel , so range about RM1200 with return air ticket. Our flight took about 4.5 hours . Blurry pictures always turn out to be the one I LOVE , I just do not know why , le boyfiee cannot take it with my sillyness . Le boyfiee booked a comfy room stay for us 3 couples to stay in , it is quite affordable if I'm not mistaken only RM300 per night with three queen size beds ! Own kitchen with mini bar , washing machine , refrigerator , shoe cabinets & a washroom . I personally recommend , it is located at Taipei Main Station MRT . 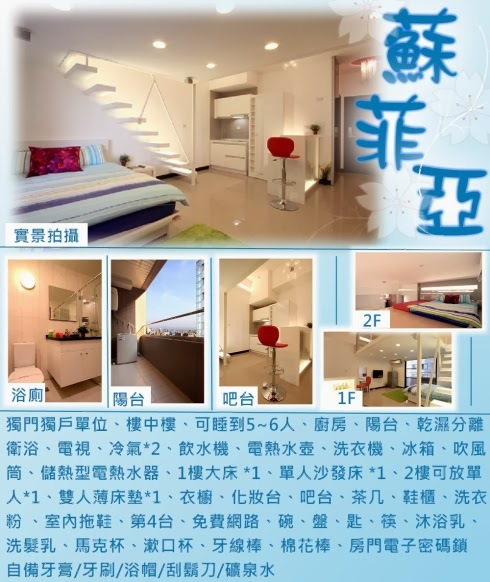 So convenient we could just take the MRT and head to another places to travel in Taipei , the most exciting is that Xi Men Ding is just one stop next to Taipei Main Station , our room stay itself located at Q Square , which is a shopping mall , and the shop rows nearby our place . The bed sheets if you're resting and sleeping at the second level. After putting down the luggages in the room and rest , we decided to go out for a walk . The sky is dark when it is 5PM ! The night is long and young at Taipei !! First thing when you travelled to other country is to visit their 7-Eleven , *jakun* because each country has different special items for sale ! I still remembered the last time I visited Hong Kong , they sell cute edition of toys , sweets and so on . While Taiwan's 7 Eleven has good deals on beauty & cosmetics items ! Yes , they have different brands and collections as well in the shop . LADIES HEAVEN ! Ximen Ding , shopping paradise first stop ! Six of us started to hunt for STREET WEARS & FOOD ! Their Hot Pot , quite a good deal , with the price of about RM12 you can enjoy the delicious own hot pot with your own favorite choices , free flow of drinks are included ! They are famous for internal organs for pork . Personal love-shaped cotton candy ! You can never lose weight there because of their yummy and addictive desserts from the stall along the street side . The mochi is fully flavoured with peanuts ! At about RM20 , you can get a pair of shoe . CRAZY SHOPPING DEAL ! Mee Sua - Famous one in Ximen , everyone is lining up for it ! A friend of mine , became our tour guide because he was there for study . We then head to SPARK TAIPEI 101 Club .